See previous events & photos. On Thursday, April 5th 2018, the Melvindale Police Department will be merging dispatch services with the City of Dearborn. Dispatch services WILL NOT be interrupted. Emergency 911 calls will be answered by the Dearborn Dispatch Center. If the nature of your call is not an emergency, use the unchanged non-emergency phone number (313) 429-1070 and listen to the extension prompts to be connected to the service division you wish to speak with. There will be NO change to daily patrol operations. 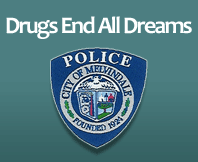 Melvindale Police Department will be operating and servicing calls 7 days a week 24 hours a day. Monday – Friday 8:30a.m. – 12:00p.m. Monday – Friday 1:00p.m. – 4:30p.m. Monday – Friday 12:00p.m. – 1:00p.m. During closed lobby hours, the call box located at the front entrance of City Hall, may be utilized. The call box is a direct line to the Dearborn Dispatch Center. Upon your request Officers will immediately be dispatched to your location. Click Here for PDF version of notice. New DPW Job Postings have been listed on the Department of Public Works page (Click Here). The Wayne County Treasurer's Office now has a free mobile app to make it more convenient to pay your Delinquent Property Taxes. Click Here for their brochure. For those who would like to pay their delinquent taxes using Wayne County's website, at www.treasurer.waynecounty.com, an online payment tutorial video is also available on Youtube. Click Here to view the video. The Michigan Public Service Commission (MPSC) is responsible for the implementation and oversight of Public Act 480 of 2006 - Uniform Video Services Local Franchise Act. Section 10 of the Act provides a video/cable dispute resolution process at the MPSC to be used by customers, providers, and franchise entities (municipalities). This dispute resolution process allows customers who are unable to resolve their video/cable television complaints with their provider to file a complaint with the MPSC. The video/cable webpage at the MPSC is http://www.michigan.gov/mpsc/0,4639,7-159-49641---,00.html. NOTE: THE MPSC DOES NOT HAVE AUTHORITY REGARDING SATELLITE TELEVISION COMPLAINTS OR INTERNET SERVICES. FOR THESE TYPES OF COMPLAINTS, CUSTOMERS SHOULD CONTACT THE FEDERAL TRADE COMMISSION AT (877) 382-4357 OR https://www.ftc.gov, OR THE MICHIGAN ATTORNEY GENERAL'S OFFICE AT (877) 765-8388. Welcome to the City of Melvindale, Michigan. With a population of approximately 10,000 we are indeed the "Little City with a BIG Heart". Melvindale is a great place to live, work and visit. We hope you find this site useful as your portal for city information.